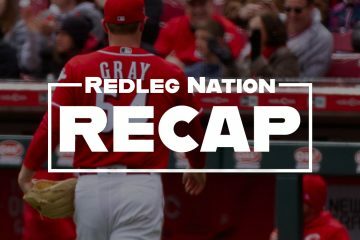 The Short Version: Reds waste some good pitching, and drop a narrow contest against the Nationals. –Effective outing for Luis Castillo: 5.1 innings, two runs allowed on six hits and two walks. Castillo threw 88 pitches, but began to struggle the third time through the Nationals order. Where have we heard that before? –Wandy Peralta, Michael Lorenzen, and Amir Garrett pitched 2.2 innings of shutout relief. –Eugenio Suarez and Mason Williams had two singles. Scooter Gennett had a hit and a walk. –One run. And the Reds missed a golden opportunity to win this game in the fourth (see below). –Cincinnati just lost 3 of 4 to Washington. No fun. –The Reds had no extra base hits today. All singles. –Joey Votto didn’t start after being hit by a pitch yesterday. Just a day off, according to our intrepid manager, but John Fay reported that Votto was limping before the game. –Down 2-0, Cincinnati scored their only run in the top of the fourth, and it could have been much more. Phillip Ervin, Scooter Gennett, and Eugenio Suarez all singled to load the bases with no outs. Mason Williams singled to right, making the score 2-1. With bases still loaded and no outs, Tucker Barnhart popped out, Brandon Dixon struck out, and Castillo flied out to end the inning. The Reds never really threatened again. –Cincinnati will head north to play a three-game series against the Mets next. Homer Bailey will start tomorrow night. Triple-BLARGH-Milton … good by to DC Land!!! This one was decided in the fourth. In the top of the inning, the Reds missed a possible inning ending GIDP when the substitute 1B ran his way out of position to cover 1B and the pitcher didn’t get over to cover 1B either. Blame one, blame both or just say it was one of those things young players do, or don’t). The following hitter then drove in what became the deciding run. Regardless, in their half of the innings, the Reds had a platinum plated chance to take control of the game but failed. Presented with not one but two no outs based loaded at bats, the Reds produced but 1 run. A pop up on in field was followed by the aforementioned sub striking out after not getting his bat off his shoulder against 2 pitches that looked very hittable. This brought the pitcher to the plate because of course he has to bat 8th since the CF is such a poor hitter they try to hide him in the #9 slot. Game done. Luis Castillo was solid and is the Reds best SP 2 years running. Reds miss Winker’s .850 OPS and Schebler’s power. If Ervin and Williams are able to continue hitting in a consistent fashion, I donÃ¢â‚¬â„¢t see room for Hamilton in the line-up when Schebler returns from DL, furthermore next season with Winker available and thatÃ¢â‚¬â„¢s not including Tucker in the mix. Reds really missing Schebler and Winker. And, Blandino…to some degree as well. As Mary B said, and I agree whole heartingly, “Billy Hamilton is Not going to Hit!” Gennett and Suarez can’t do it every single game! Don’t tell Suarez that . He is putting up a historic season for Reds 3b. What a player. Riggleman said Saturday that Gennett will start pretty much every game the rest of the season. Ugh. It’s all a clever tactic of playing him while hurt to lower his stats and save money for the impending contract extension. I really wish we knew what was wrong with his shoulder. We have already saw Winker playing through a shoulder injury that ended up requiring surgery. Which if it is really a torn labrum is a six month recovery time. I want to trust that the Reds and the medical staff know what they are doing, but there is a history of questionable decisions. I would hate to run Scooter out there every day during the season and then see the report in December that he needs surgery and will miss the beginning of next season. After personally having two labrum repairs and my shoulder still not 100% I know how difficult shoulder injuries can be. With some of the injuries we have had and the way this team is currently trending, I have a different question for the RLN community: should Krall/DW step in and tell Riggs to make a youth movement happen the rest of the year? -Billy starts a couple games per week, the rest of the time the OF is Williams, pErvin, Dixon (I REALLY wanted to type Mason/Dixon but decided not to). -Scoots rests his shoulder and Dilson plays 50% of the time. -when Preston plays right, Dixon spells Votto. START ANSWERING OPEN QUESTIONS INSTEAD OF TRYING TO FINISH 18th IN THE LEAGUE VS 23rd!! Next yearÃ¢â‚¬â„¢s draft currently appears to be top heavy. I would be MUCH more excited about the next great Reds team, if we Ã¢â‚¬Å“lost 3.5 games in the standings and had the #4/5 pick instead of #8/9/10. IÃ¢â‚¬â„¢m not saying tank, IÃ¢â‚¬â„¢m saying sort out some extremely important questions and roll the dice that you might lose 5-7 more games this year than what we might have if we played every game as if victory meant a trip to the WS. Riggs is never going to do this on his own. Krall needs to tell him that he will be judged on how he executes the game plan I just described (vs his W/L record). Great questions…. But the Reds have a plan and positionally….it’s Winker/ Schebler/ and Senzel in 2019. Votto Suarez Peraza and Barnhart are committed. Blandino has earned infield utility. The only question is Scooter beyond 2019. Then at a minimum they should be trying to pump up DilsonÃ¢â‚¬â„¢s trade value and suppress Scoots Arbitration case. They need to get clarity on BobSteve (and maybe Cody) just to figure out if there is something there (and/or build trade value). I hate the thought of making the best prospect we have had in years learn a third position in 3 years because of Scooter, but I begrudgingly accept it. Either way, BHam needs to sit and they need to give new guys a chance to take that spot. Hell, give Trammell or Siri a cup of coffee (as long as the 40 man can handle adding them). Just no more BHam (and please donÃ¢â‚¬â„¢t sign him next year to $7-9m in arbitration). Chris and Thom seemed nearly certain that Stephenson was going to pitch vs. the Mets. A lot of the proposed playing time suggestions posted fail to take into account the human factor and generally how baseball works. You’re right about not playing Scooter. The only way that works is if he is too injured to play effectively. Yes, he’s slumping some but he’s still producing and there aren’t non-performance reasons to take him out. I don’t think folks are realizing that you can’t just sit guys because you want to see what the young, cost-controlled guys can do. For it to work in your clubhouse and for other players around the league that you may wan to play for you some day; there needs to be a better reason. A reason tied to performance or injury. One of the Reds issues is that they tend to make their plans using indelible ink which is a lot like doing a crossword puzzle using ink or gluing together a jig saw puzzle because there are often interrelated pieces and multiple choices which might turn out to be the “correct” choice for any given slot. One quick example… Both the corner OF guys they seem committed to for 2019 are currently on the DL with shoulder issues. One of the 2 has already undergone surgery and had a labrum tear repaired. His prognosis is that he is “expected” to be ready for spring training. The other guy is awaiting a reevaluation because his injured shoulder is not responding as anticipated. We can but hope he isn’t headed down the surgical path too. For the second consecutive year, this guy will have missed significant time to injury (looks like a minimum of 6 weeks this season being optimistic). The team best get a long look at a guy like Ervin (#27 overall draft choice in his class) because odds are he or somebody else is going to see a heck of a lot of PT in a corner OF starting role in 2019 regardless of “the plan”. You can’t sit Scooter and Votto on a regular basis unless they are injured, and at that point should be DL’d (which may be an option for Gennett). Sitting your All Stars will not make them happy and not be a good look with the players association. I 100% understand your stance, but if the players association were to label the Reds as a team who is sitting guys like Scooter who are arbitration eligible in order to improve draft position it will not be good. To be clear. IÃ¢â‚¬â„¢m not saying bench Scooter. It is widely accepted that he has a bum shoulder. It is clear that his performance is coming down since the shoulder issues. Ã¢â‚¬Å“Resting his shoulder in a lost season for a few games per week is legitÃ¢â‚¬Â. I will gladly take that argument with the players association. If they r really thinking about signing him long term, he should probably consider surgery now. My comment about Votto was more about resting a mid-30s player. There are so many miles on a players legs, and I hate to waste them by having play every single game this year. I agree something is wrong with Gennett’s shoulder and it could use some rest. I just wish he and the Reds would admit something is wrong and get him whatever is needed to fix it. Especially with the extension talks. Of course maybe it is something that is not going to cause any more damage by playing on. I also have the fear that he signs the extension and then has season ending surgery next year. My counter argument as Scooter, his agent, or a PA rep, is that he has been dealing with the shoulder almost all season and he’s having a great year offensively. All players go through slumps and Scooter needs to get a chance to play his way out of it. They are already giving Scooter occasional days off, though not as many as we may think they should. Really the only way to really bench him due to the shoulder is if the medical team decides that continued play can further damage the joint. At which point, the team could DL him. Apparently, whatever is wrong with the shoulder, the medical team feels that continuing to play isn’t going to make it worse and isn’t going to affect his being ready for spring training in 2019. I think why Riggleman loves to bunt….is that part of being an old school manager, he also is trying to keep his job of managing the Reds for next year and perhaps…beyond that. Look at his age, this is probably the last chance he is going to get. Same thing with pulling starting pitchers when they hit the 5th and 6th inning, same thing…trying to win now…so he can manage longer. Though, I have to say, when the pitchers began to struggle in the 5th and 6th, the 3rd time through the lineup, it is good to pull them, in favor of the bullpen…but I think overall, Riggleman is looking at the win now, manage next year and beyond, because I am older, and not getting any younger mentality. Team that hit more HRs wins the game. Not a surprise story in the MLB of 2018. Actually happens now the vast majority of the time. 1-5 since we all got the confirmation that “Winning Culture” has been firmly established. Syndergaard and deGrom up 2 of the next 3 days. In today’s game you have to be able to outslug the other team to win.We have 3 guys that will play 145 games or more that have no power so we are out gunned before we even hit the field.Its even worse at GABP which is known for the wall scraping first row home run.Ervin and Williams have hit well with some pop in playing the corner outfield spots since Scott and Winker went down.Dixon ran into one Saturday as well.Indy and I have brought up this power shortage several times and it will remain. I want to see Mason Williams in CF. Often. My guess is that he’ll be pretty good there, and we need to know that. I like the look of Mason as a hitter. It ‘s time to find out what he can do in CF and what Stevenson and Reed can do as starting pitchers. The Reds should make the most of vetting these final two months. I’m definitely in favor of upgrading in CF. But there is nothing ambiguous about Mason Williams, no unanswered questions. Aside from A- ball, he has no single level of minor league ball where he achieved even a .700 OPS, and his hitting profile has remained remarkably consistent. He projects as marginally better than BHam with the bat (who doesn’t?) and of course would almost certainly be much poorer with the glove. He’s on a nice roll now, but he’s not a long-term solution. The best case scenario would probably be that he could provide as much, or almost as much, value as Hamilton for maybe one year, and at a fraction of the cost, while they find a true ML center fielder. That would be worth something, assuming they can find the gumption to bid Billy bye-bye. But he’s not worth getting excited about, or even upset that Hamilton is playing in his place. Bingo. Especially the last three sentences. Would the Reds have won one more game in DC with Adam Duvall? How could we know? He might have run into one, certainly. Billy definitely should not be starting every game. But I have a feeling his consistent playing time is dictated by Big Bob more than Riggs or DW. He won’t trade him, and he surely will not have him sitting on the bench every night. Votto limping. The next time the Reds see Madson, there needs to be some retaliation. I’m sick of this team just laying down when they get pushed around. They hit Votto in response to the Reds plunking Harper. Its baseball. Votto should know that. Madson says, unequivocally, that it was unintentional. Beanball wars aren’t one way deals, just like other wars. Go after their guys, they’ll go after yours, and it’s just as likely that one of your guys gets hurt as the reverse. It’s stupid and childish and dangerous and unevolved, though those words certainly describe the state of humanity. Madson says it was unintentional so he doesn’t get fined. Most people believe it was intentional, but I agree with you someone could get seriously hurt by this stupidity of intentionally throwing at guys. The league needs to address it before someone does get seriously hurt. To sum up, RedsÃ¢â‚¬â„¢ perpetual rebuild is no rebuild at all. Same thing three years and counting now. Young guys pitching, playing 2 of 3 outfield positions and 2 of 4 infield positions. Their top prospect is injured and out for the year, so he can’t be called up, anyway. Looks like a rebuild to me, albeit a rebuild hampered by injuries. And, oh yeah, the 7th-best minor league system in the game, with more prospects in the offing. Other managers jobs ate opening up. The Reds better get busy with that comprehensive search. I would hope that they are researching possible candidates and compiling a list. The Cardinals and Angels jobs look like they will be attractive. Baltimore, not so much, ad it should open up. Toronto and Texas might also open up. Both are kind of stuck in between a reload and a rebuild. If they open up they might end up being more attractive openings with the deep pockets both teams have to pay a manager and bring in talent. Because of that the Reds should be aggressive in their search. Don’t be too deliberate to where others get the jump. Then again if you might want the field to be limited in order to make it easier to stick with an inside candidate…Ã¢â‚¬Â¦Ã¢â‚¬Â¦.. Inside candidate? Noooo. The horror. I think the Reds aggressiveness in the recent trade deadline will mirror their efforts in the comprehensive search for a new manager. Jim Riggleman or Barry Larkin. It’s in the bag. I just read where there have been some waiver claim awards made on trade waivers. So, if the Reds put anybody on waivers at first blush, presumably they have cleared or been pulled back. No names leaking yet of guys who have cleared or been pulled back, only that a couple of San Diego pitchers were claimed and let go to the claiming teams (Cards and Brewers interestingly enough which means the Reds could have had either one). I think the teams pretty much put everybody on waivers after the trade deadline, then act accordingly. I could see Hamilton being claimed and the Reds not pulling him back or working out a trade. And certainly Harvey. I believe Votto could also void a waiver claim himself due to the no trade clause in his contract. Not sure but I believe 10/5 guys also have the same rights even if there is no specific nonmovement clause in their contract. I guess the Reds would run Harvey, Bailey, Votto, Scooter, and BHam through waivers to gauge any interest. I also suppose they could have run Iglesias, Hughes and Hernandez through too. The SD pitchers were Tyson Ross and Jordan Lyles. Ross will be a free agent and Lyles has a team option for next year. I am not sure either one would have been a fit for the Reds. The Reds have to find a way to get Stephenson up to Cincinnati and not throw another obstacle in his way by picking up a back end starter like Ross. Ross had a lot of potential to be a star, but injuries derailed that. His star is fading as quickly as the guy he replaced in SD in 2012, Mat Latos. Probably they didn’t even consider either one. Solid start by Castillo. The offense is going to struggle without Schebler, Winker, and Duvall. Just better get used to it. If Gennet’s slump is injury induced, then DL him and play Herrera. If its not, then I don’t want to hear the reds using it as an excuse. The injuries to Winker and Schebler, and the slumps of Votto, Gennett and Barnhart, have left the Reds in tough shape against RH pitching. Since July 1, Votto is slashing .258/.410/.361; Gennett, .243/.325/.398 (for a wRC+ of 94), and Barnhart, .173/.279/.280. Throw in Peraza (5 for his last 31) and Hamilton (always), and you have no offense at all right now, other than Suarez. I’ve always thought that this year’s Reds were way too left-handed, with Votto, Gennett, Schebler and Winker all starting as LH hitters, plus they had two switch-hitting starters with track records as better against RH pitching. Now, they are bad against RH pitching, as well, and I don’t see a way out of it this season. They need Ervin to continue to hit, and Gennett to get hurt. It may be a long 8 weeks until the season ends. All that remains of this season is the vetting of Stevenson, Reed, Mella, Herrera, Ervin and Williams. Use the rest of the season to see what they can do at the ML level. Many are in the contingent, as am I, for the Reds to call up Robert Stephenson for Wednesday’s afternoon start against the Mets. Until a starter is named for Wednesday, we should watch closely tonight the usage of Keury Mella. If Mella doesn’t pitch tonight, it could very well mean he could be named as Wednesday’s starter instead of the Reds calling up Stephenson. Mella’s 4.1 innings pitched the other day could be looked upon as a start and he would be right on a starters rest schedule to start on Wednesday. That is if he doesn’t pitch tonight, and obviously tomorrow night too. Now the Reds could name Wednesday’s starter sometime today, but if they have not, Mella’s usage tonight will bear some watching. This could be an interesting little side bar to tonight’s game. If Mella gets Wednesday’s start, I would have no idea at all what the Reds are thinking on Stephenson then. I do hope he ends up as our SS of the future … I’m thinking that’s where he adds the most value. India’s greatest value for the Reds is going to be as trade target. 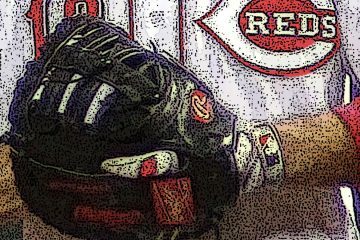 With Senzel and Winker coming off of surgery and Greene out for the season too, a healthy top prospect is going to be needed to garner that top of the rotation starter the Reds will be seeking this winter. The NY Mets really coveted India in the draft. It is just that the Reds picked him one spot in front of NY. India will be needed for the Reds to get Syndergaard from the Mets this winter. India, Santillan and Siri will be needed to headline that healthy trade package. Good point – I think we all could live with that outcome, especially if they don’t slot him in a position where he isn’t completely blocked. When the Reds promoted India to BIllings and he started at SS in all 3 games he played, I was enthusiastic about the Reds SS prospects going forward, but after he was promoted to Dayton, Garcia continued to start at SS ahead of India with India starting at 3B, although India has started 1 game at SS for Dayton. I guess if India continues to rake and at least occasionally starts at SS this season, all things are good. If India doesn’t have a starting SS assignment next season at whatever level he is assigned, I will be concerned about the Reds SS prospects going forward. That’s what the front office needs to do with Harvey if there is no trade to be made. Duh.